9am I’ll prep some food for the day, have a nice hot drink and some porridge. We will have been on tour for eight months when it ends in Coventry. Initially, we had five weeks of rehearsals daily between 10am – 6pm; and often an evening rehearsal too. Usually, you get calls for when you’re on stage, but for this everyone was on stage for the duration because it was a devised piece – so quite intense! We had three weeks in Bristol, two weeks at the Old Vic in London, and a two-month break before the national tour. 12.30pm Whenever we go to a new theatre we have Tech on Tuesdays and so will run through the whole show without an audience. If it’s a double show day (matinee and evening) we would head in for 12.30pm. Firstly, I do my make-up and vocal warm-ups. 1.05pm There are 13 actors and three members of the live band on stage. We all meet up and have a ball game and a sing with MD (Musical Director) Ian Cross. We go into the stalls and play volleyball split into two teams. My role is quite physical. I like to leave my dressing room 20 minutes before the show and stand at the side of the stage to do some stretches and salutations. 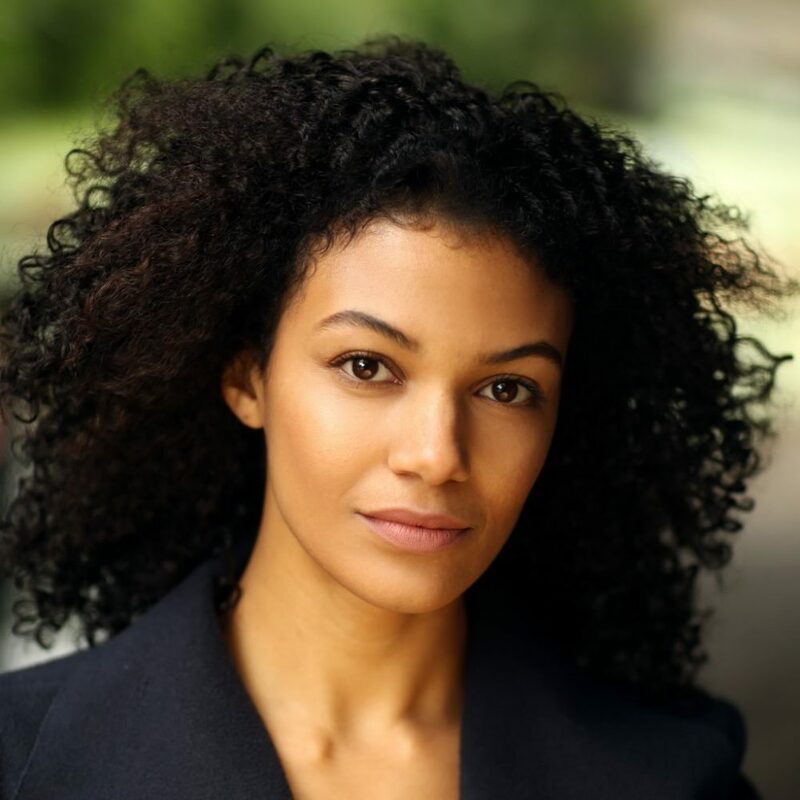 My character, Dora, has a London accent. 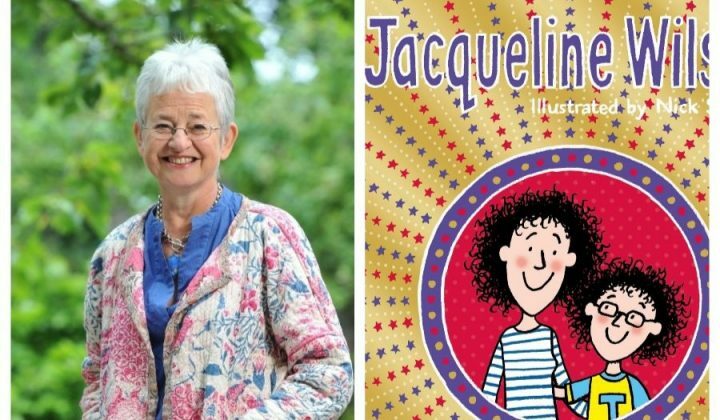 I do some tongue twisters to warm-up – so my Manchester accent doesn’t come out! 2pm The opening of the show is quite free. Everyone is wandering around the stage and it’s quite relaxed. It’s an intense show, but also very playful, so it’s nice to chat and have a laugh with each other. We are pretty much on stage from the beginning to the end. We’re all in the ensemble and then you change into your characters. It’s 45-minutes before I even say a word as Dora. I love it when Omari, who plays my twin, and I first go on – it’s a massive adrenaline rush! 5pm In between the shows we come down, get changed, have some food and everyone has a little nap. You wake up and it’s time to get back on the train. I try to make salmon or some kind of fish for tea with veg and rice – or a tuna butty. Yesterday I had salmon with couscous and coleslaw. As the show is so physical you always feel like you want to eat. I’ll take in little snacks like apples or nuts to try and steer me away from bags of sweets. Our Head of Wigs will often bring in brown paper bags full of fruit pastels and jelly beans. You have to keep a watch of it, sometimes you’ll let yourself go, but you have to think like an athlete: ‘health + body + mind’. 6.05pm If it’s a one-show day, we have the day to ourselves, then come into the theatre for 6.05pm and follow the same schedule. 7.30pm The evening performance starts. I’m quite tall and leggy and have been offered roles as an actual showgirl before. 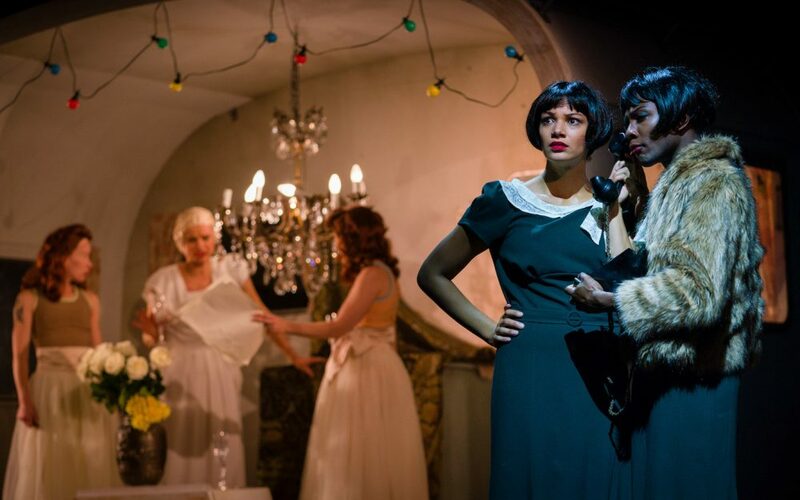 I trained in musical theatre and it’s amazing to be in a play where you get to show off all the skills you’ve learned, as Emma Rice tries to do with all her acting company. If you can stand on your head, she’ll find a way for you to showcase it. I just love this part and the costumes – it’s so much fun! 10.10 pm At the end of a performance I get such a high seeing the audience’s faces with this show – some are elated and others are in tears. It puts a massive smile on my face. Being with everyone in the cast is a laugh. Sometimes after a show, we’ll go for a drink. Last week was really social. Our social secretary is Omari, who arranges all the good bars. One night we all went to a quiz night then on another we went to this bar with a dance floor playing Motown. The dance floor was empty, so the entire cast stayed up dancing until 2am. But other nights when I’m tired, I’ll put Friends on TV and go to bed. Usually, when you’re on tour you’ll use Airbnb or Theatre Digs Booker. In Chester myself and two other girls in the cast were staying in a gorgeous Airbnb on our own. When we were up in Manchester I stayed with my family – mum, dad and younger brother – in Stockport. I did get totally spoilt and my mum bombarded me with Tupperware of prepared food. This week in Richmond I’m back at my own place nearby in New Malden, near Wimbledon. It’s lovely to be home, sometimes when you’re on tour you’re constantly packing a suitcase. I do have another side project after this – to be in a video game as a motion-capture actor. I don’t know the name of the game yet – but it will be really fun as I’ve never done that before! On weekends I really like to walk. Last week my brother and I, we went for a long three-and-a-half-hour walk in the Peak District. We went to The Roaches and Lud’s Church – it’s in the middle of nowhere but the views were incredible. If I’m tired, a roast, a nice film and a G&T are the complete opposite side of this. My boyfriend Oliver Savile and I are both in the same industry and both very driven. We met on the set of Cats. I was Bombalurina; he played Rum Tum Tugger. We’ve not managed to make meet up time to go on holiday for 3 – 4 years. We were going to do a big trip to California and then I got offered this – that is just the nature of what we do. It’s really bitter-sweet. 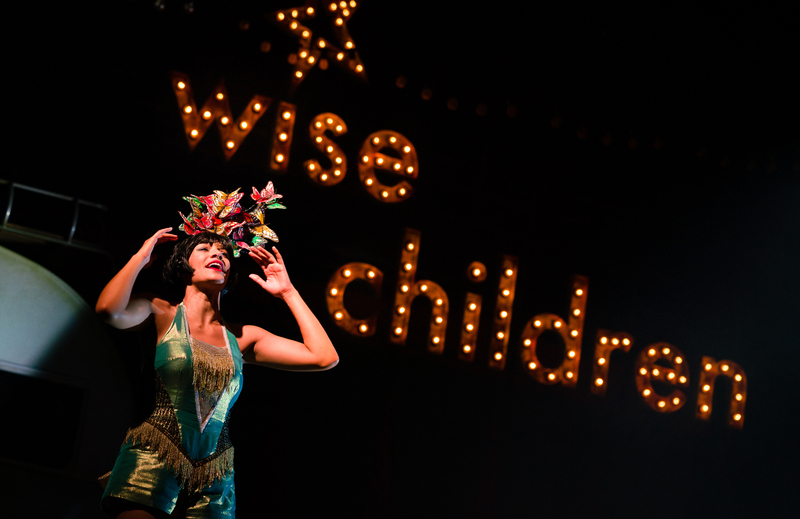 Wise Children is definitely one of the biggest achievements of my career so far. Working with Emma is absolutely amazing and working with all the people on the show – the talent is just amazing! 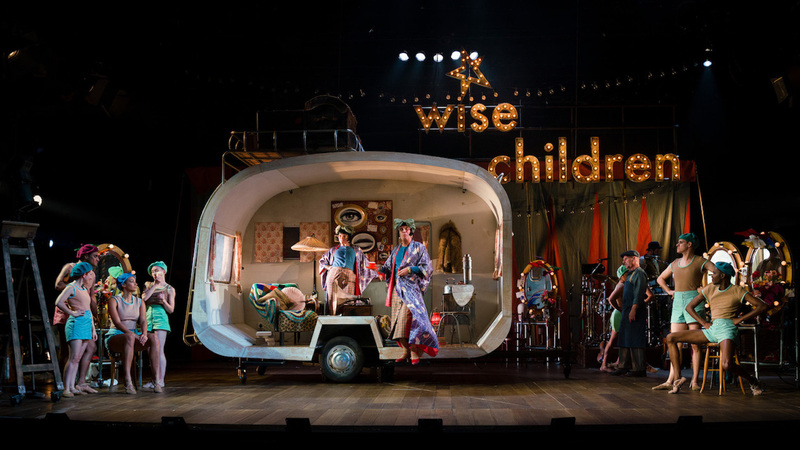 Co-produced by the Belgrade Theatre together with The Old Vic, Oxford Playhouse and York Theatre Royal, Wise Children runs at the Belgrade Theatre Coventry Tues Apr 2- Sat 6 Apr. Tickets here or Tel the box office on 024 7655 3055.